Do you park your car in the driveway? Do you have children? Chances are before they get to the age they stop playing in the yard an accident will happen involving your parked car. Whether it's from an out of control basketball or misguided bicycle, car repair costs on dings and dents add up. DIYPoolSafetyFence.com has your answer. 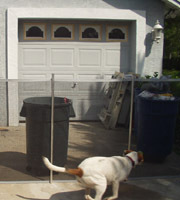 Install one of our safety fences. They're easy to set up and take down, plus they give your car protection from many of life's little mishaps. Family dogs are quite common. They live with us, eat with us, and sleep with us; for most people they are part of our families. But even with this special bond, we need boundaries and special zones for our dogs. Areas where they are free to run, play, dig, and take care of their needs away from valuables and expensive plant life. DIY safety fences have the strength and durability to get the job done. Our unique synthetic fiberglass can withstand most dogs' bites and pulls while the rubber coating keeps them from catching themselves on sharp edges. Plus our pool fences present an attractiveness that is uncommon among many dog pens. 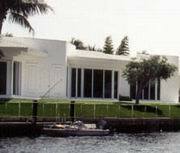 Sea walls are intended to protect your home from storms, varying sea levels, and docking your boat. They aren't intended to be swimming zones. The water is deep and at times turbulent. Children should be kept away at all costs. If a child falls over the edge of a sea wall there is a small amount of time to save them, and even if their danger is detected quickly the sea wall poses a challenging rescue. DIY proposes setting up a child safety fence along your sea wall. Added protection will give you the peace of mind you need, allowing children to freely play in your backyard. Everyone has items or areas they would like to keep their pets and children from getting into but still be able to gain access themselves freely. Each family is different depending on what they keep at their home, and the possibilities are endless. An example of a limited access zone is to all houses: garbage cans. Prevent your pets from knocking them over and creating a mess. Shield your children from hurting themselves on glass and sharp plastics or infecting themselves with diseases from waste.